A life income gift pays an income stream to you and, if you wish, your spouse or a second beneficiary. It also provides a charitable income tax deduction for 35 to 70 percent of the amount of the gift. It involves the donor transfer of property in form of gift to a nonprofit or charity, and at the same time retains an income interest to his/her benefit. It is a good way to maintain a continuing source of income and also provide an opportunity to receive tax benefits. Sometimes in layman terms it can also be described as life insurance in reverse. The major types are the charitable gift annuity, the deferred gift annuity, and gifts to a pooled income fund. The other type options includes: charitable remainder trust and university annuities. Generally speaking, age and personal preference are the biggest factors in determining the appropriate option. Charitable gift annuities are best for donors age 65 and older, and because the rate is fixed, it is attractive to more conservative donors. Deferred gift annuities are best for donors age 25 to 60. Donors who are middle age to age 65 often make gifts to pooled income funds because the variable rate is generally higher than for a charitable gift annuity. Donors also make gifts of appreciated stock to a pooled income fund to avoid capital gains taxes. Life income gifts provide mutual benefits to both you and the charity. These gifts provide income streams and tax advantages to donors and needed resources to charities. Life income gifts help you "leverage" your gifts by enabling you to make larger gifts than you thought were possible because of the income stream you receive. In addition, the charity receives the "remainder" of the gift, which is the amount that is left over upon the donor's death after the life income has been paid to the donor. 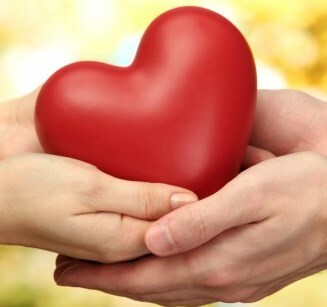 In general, the charity should receive about 35 to 70 percent of the gift amount at the donor's death.